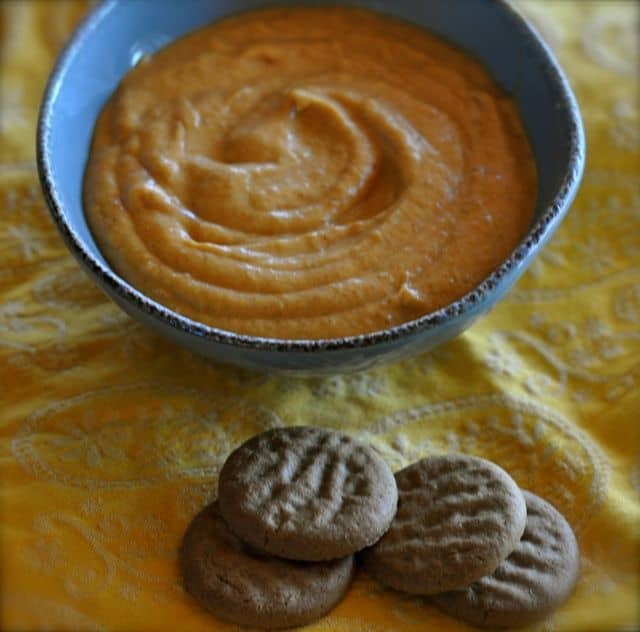 Pumpkin Pie Dip is one of my favorite holiday recipes. This tastes like a pumpkin cheesecake, but it is much less work than a whole pumpkin cheesecake. A couple of years ago I won a holiday baking contest from this recipe when I paired these up with homemade gingersnap cookies. Pumpkin pie dip is the perfect dip to make for the fall. Allow the cream cheese soften by letting it rest until it reaches room temperature. Cream together cream cheese, and pumpkin pie spice, pureed pumpkin and blend with a mixer until smooth and fluffy. Add 1/2 cup of the powdered sugar, vanilla, and blend together well. Blend in the remaining powdered sugar. This is best if it rests for an hour or two to allow the flavors to mingle together. Serve with gingersnap cookies, apples, or graham crackers. So when do you add the pumpkin puree? Add with the creamed cheese. You do it when you add the cream cheese. Nice blog. Thanks for sharing those useful information’s in all categories. Great way to enjoy some pumpkin! Ginger snaps would be perfect for dipping.